Have you ever had a moment after threading / plucking, and you come to a revelation that, wow, I look a lot more complete now. Haha, I know I do! As much as it's a small little step, it really does make a different when you have tidy, defined eyebrows. 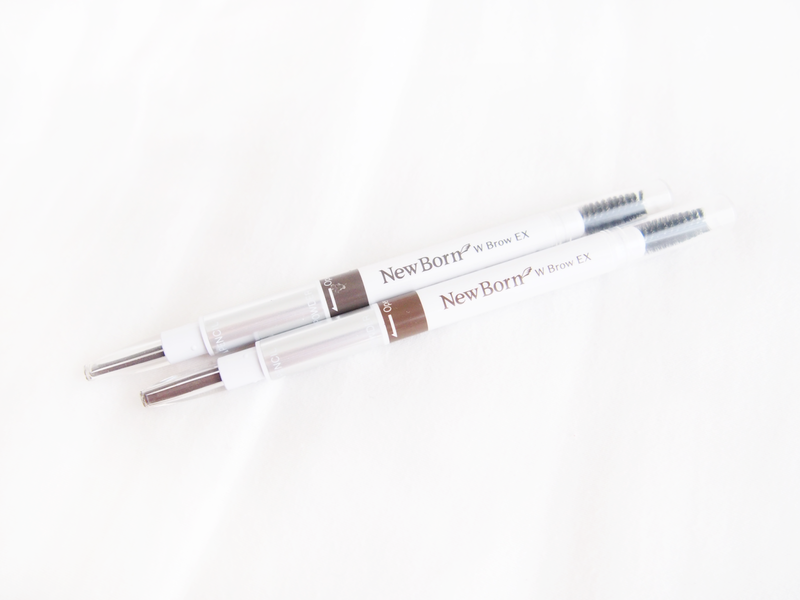 Which is why, the next item I'm going to write about is, SANA Newborn Eyebrow Pencil in B10 Royal Brown and B2 Greyish Brown. I've just been introduced to SANA Newborn Eyebrow Pencil after using the same brand, for the past... 7 / 8 years. Well, basically after I've been introduced to make-up, I've been using the same brand of eyebrow pencil ever since. Making the switch was easy. Especially after knowing they have a unique shade of grey that I love very much! It's not the kind of old grey you would imagine. It's just a softer version of black. And since my original hair color isn't very black (yes, even at the roots), I find that it's the most natural shade I can use to match my hair color! 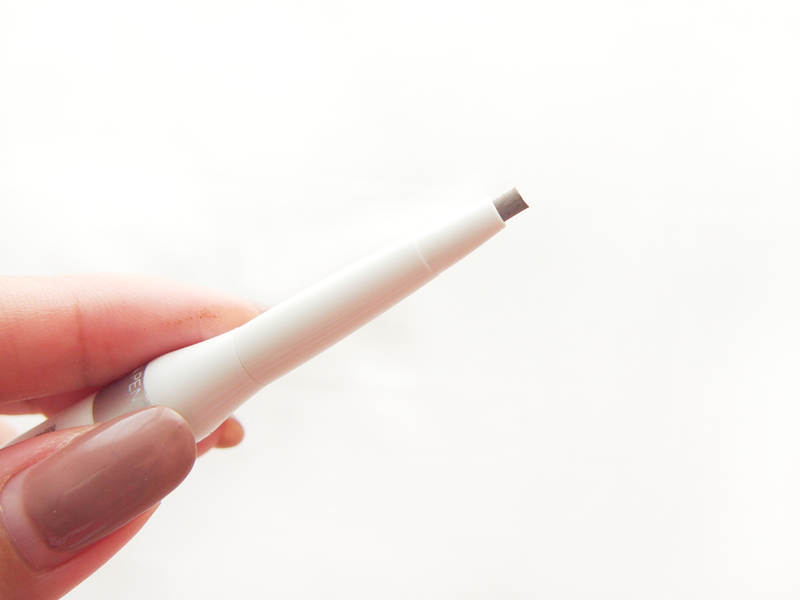 Here's a look at the crayon that glides on very well and fills up my brows very effortlessly and naturally. 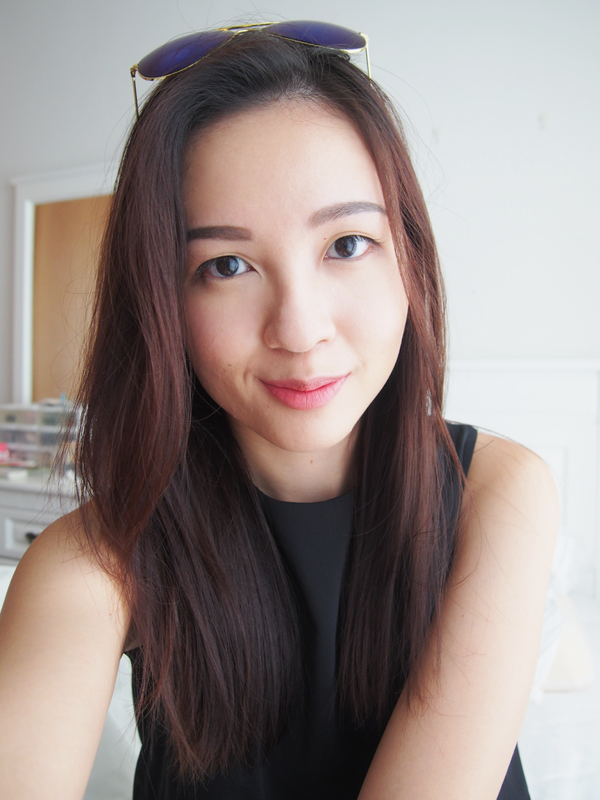 Personally loving this new eyebrow pencil a lot that I've been using it every day! 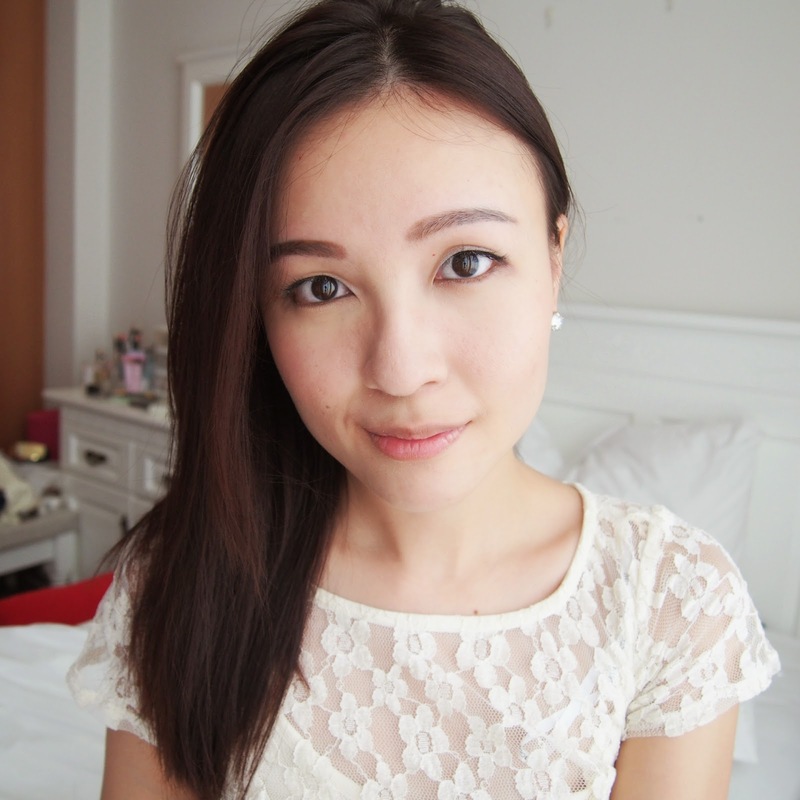 Even without much make-up, a light touch of the eyebrow pencil filling up my brows, really sharpens my looks. 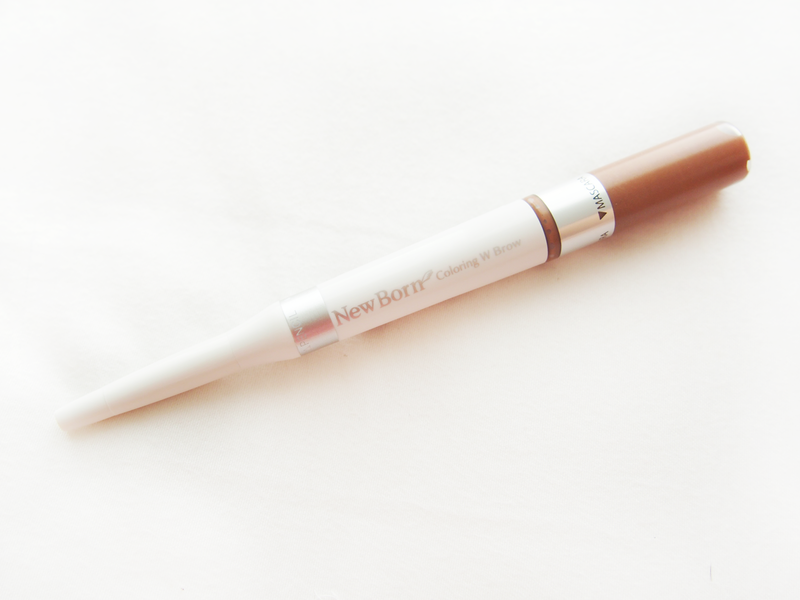 The SANA Newborn Eyebrow Pencil has 3 functionalities. One: Eyebrow pencil; Two: Eyebrow powder (opens up in the middle); Three: Eyebrow brush. The application process should start off with using the pencil to lightly fill in your browns, next, using the powder to fluffily apply it along the eyebrow, and lastly, to blend in the colors perfectly with the brush for a finishing touch! 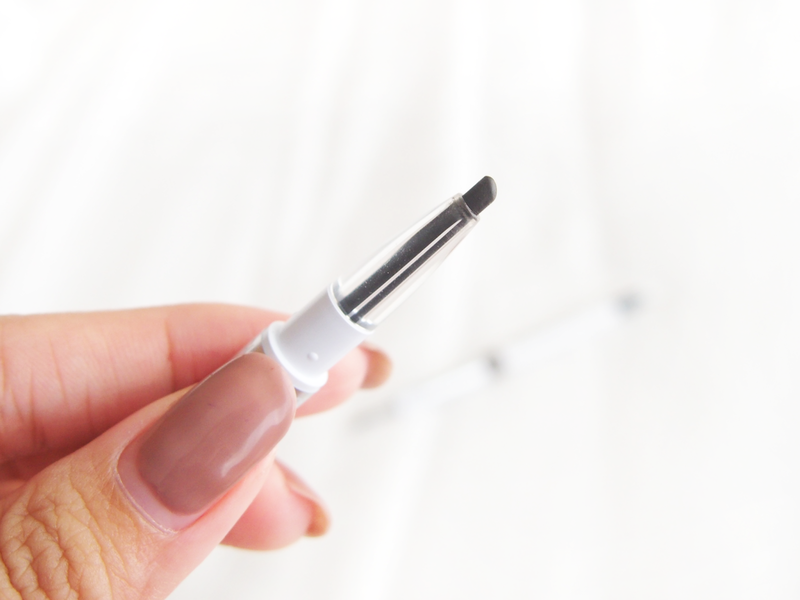 The back of the eyebrow pencil includes a mini brush with a cover on it, to brush out whatever stray hairs, and soften the look if you've been hard-handed while applying. Personally made the switch and have been using B2 in all my photos! With the focus on our eyebrows this time, here's another product from SANA! The SANA Newborn Coloring with Mascara & Pencil in CB1 Natural Brown. It's two in one functionality with the mascara and pencil changes your eyebrow color effortlessly. 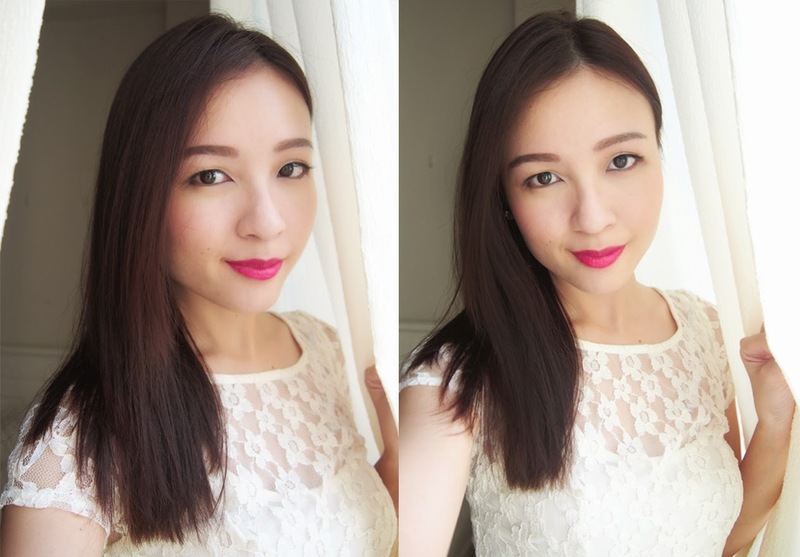 The color may apply light, but fret not as it blends in pretty well if you have brown hair! Please excuse my terribly messy brows and eyelash extension! I've used the eyebrow pencil first to fill in the brows, and followed up with the eyelash mascara to color it gently. The mascara doesn't stain the skin (thankfully), and yes try and tested because I'm such a newbie at coloring in brows with mascara! The SANA Newborn Eyebrow Pencil and SANA Newborn Coloring Pencil & Mascara both retails at $23.90 exclusively at all SASA stores across Singapore, and SANA Newborn Coloring Pencil & Mascara is also available at BHG, John Little and Nishino Pharmacy Stores! 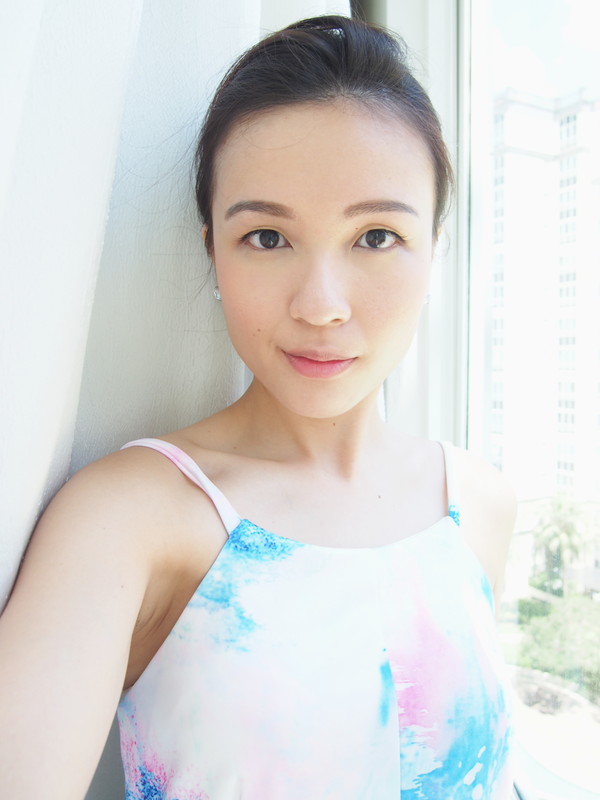 Being a fan of Asian skincare & make-up brands, I'm always on the lookout for new products & brands that can rejuvenate my routine from time to time. Experimenting with new products every few months help me to find out which ones really work for my skin, and help to address issues that may come up at that period of time in my life. Work = stress = breakouts!! I was happy to know when I'm approached to do a review on a renown Japanese brand, a brand that I've known about since my teenage years of being introduced to make-up and skincare! SANA would not be an unfamiliar name to you, if you're spent time trawling at SASA stores. It sure isn't to me, and I'm very excited to embark on this review of their new skincare products! 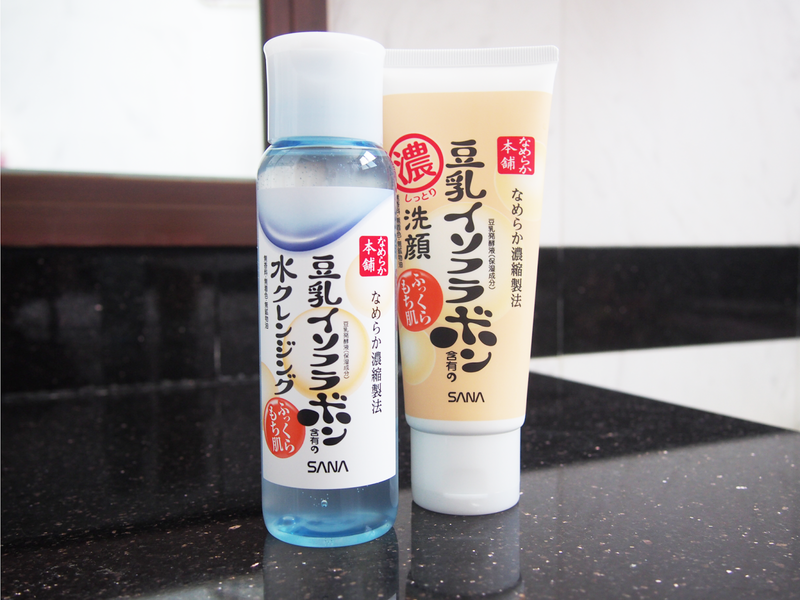 Introducing... SANA Namerakahonpo Cleansing Water & Moist Cleansing Wash. I'm a fan of cleansing water for make-up removal, and there are a couple of such products in the Japanese market. I've been using Bifesta for years after being introduced to it after an event that I was working for at that point of time. So cleansing water would not be something varying too far from my usual routine. The Namerakahonpo Cleansing Water consists of a manufacturing method of smooth condensation and blend extract from fermenting soy milk. What is most unique about this product to me, is the thick liquid. For most cleansing water products, the consistency is just like... water. However, SANA has formulated a thicker liquid to alleviate friction between the cotton pad that you'll use to wipe your skin, preventing the cotton from rubbing your skin too hard. Having a different consistency than the others, the Namerakahonpo Cleansing Water stays afloat on the cotton pad, until it is applied onto your skin. Giving your skin more benefits of the product as opposed to having it all being soaked up by the cotton pad. Also, one great key point about the Namerakahonpo Cleansing Water is that it works great for travellers! With one product, it cleanses your make-up, works as a facial cleanser, and a toner. Fuss-free cleansing! Using the Namerakahonpo Cleansing Water is easy. 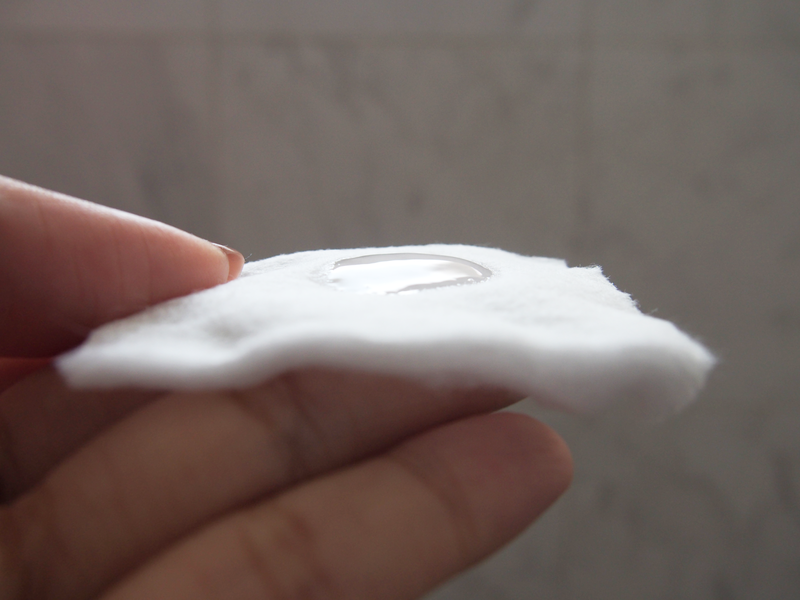 Simply pour the cleansing water on a cotton pad, wipe your face with both sides of the cotton pad. If you have make-up on, I recommend using one more cotton pad, just to make sure you get every trace of your make-up off your skin. 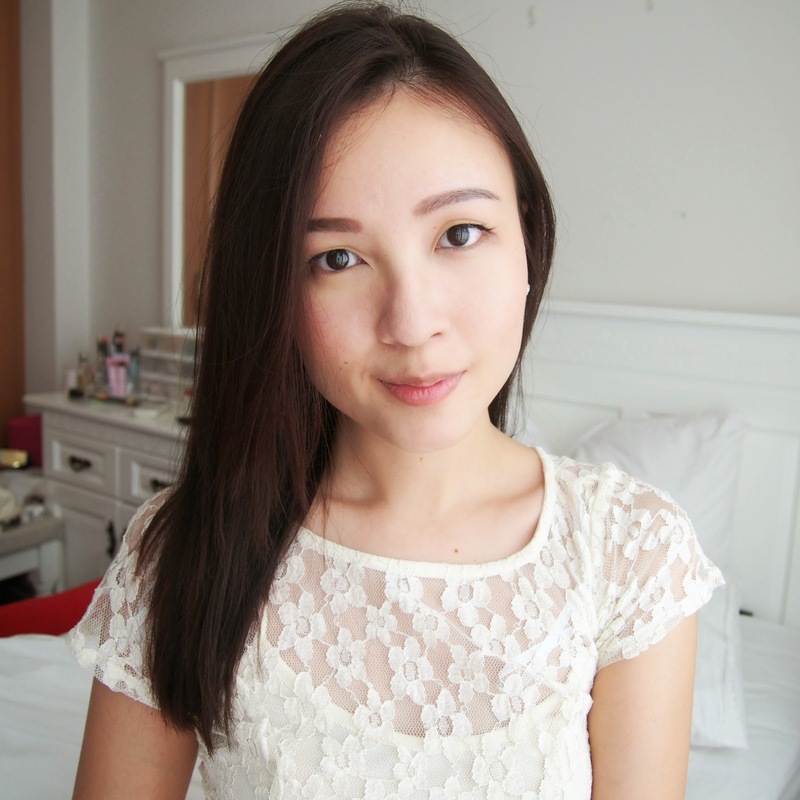 I love how moisturising and non-sticky it feels after I'm done cleansing my skin with it! Here's a little test I did to see how effective the cleansing water is in removing our make-up. On my hand, I have foundation, blusher, eyeshadow, (copious amounts of) mascara and lipstick. After one swipe, most products are removed effectively, and on stays the waterproof mascara, which is a a little harder to budge. 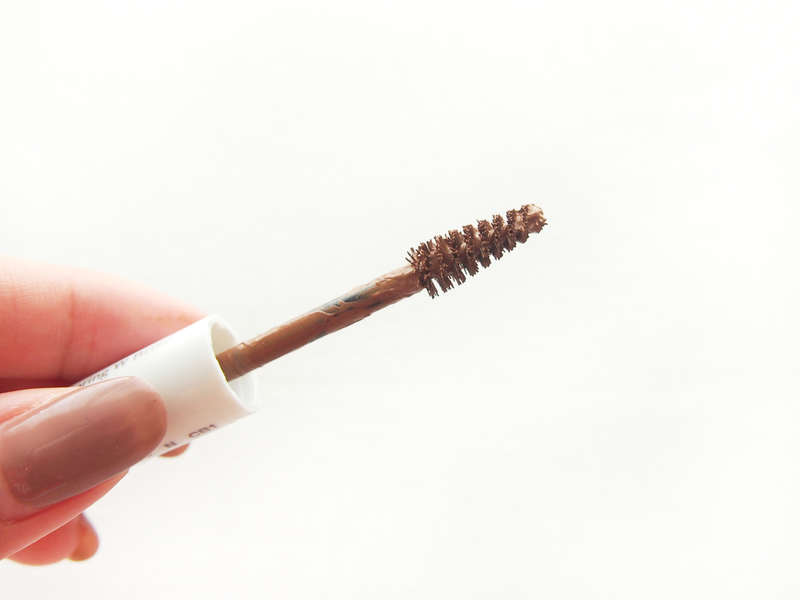 After leaving the cotton pad on the mascara smudge a little longer, wiping it off is effortless, and half of it is now clean! I don't like how sometimes after cleansing with some products, your face feels really clean, but it becomes really dry because of the harsh ingredients used in the cleanser. But after trying out the Moist Cleansing Wash even after the first time, my skin didn't feel as dry, and equally squeaky clean, all thanks to the soybean derived ingredients, that gives you moisture for that supple skin even after cleansing. The Moist Cleansing Wash works well with combination to dry skin types. Squeeze about 2cm or 3cm (with make-up on) and lather well with water, turning it into foam (it didn't foam as much for me but I think you can use a foaming net, easily purchased from Daiso!). Gently massage it onto your face, and rinse it off with lukewarm water. The foam helps to protect the skin from friction and gives our skin more moisture. After trying the products out for the last couple of days, I've really grown to love the cleansing water especially! With the thick liquid formulated that is designed to minimise rubbing on our skins, it effectively removes my make-up. Though I know it's a 3-in-1 product, I always prefer to have my next cleansing step with me, to strip my skin off the impurities. It also makes me feel more assured that every nitty gritty dirt is off, hehe! With soybean derived ingredients in both products, it helps a lot in moisturising our skin even after cleansing, for suppler skin. and both are retailing at $16.90. 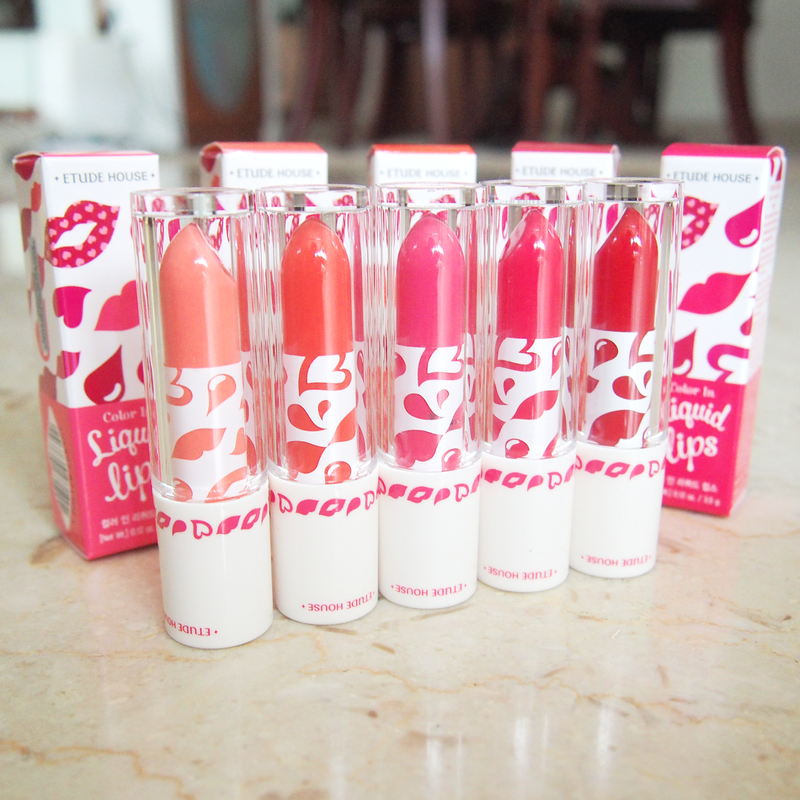 Etude Houses releases a new collection of color water lipsticks this Spring - Color in Liquid Lips. Bringing together the best of different lip products, this all-in-one lipstick, lip-gloss, and lip-stain makes for a must-have in your make-up regime this Spring! 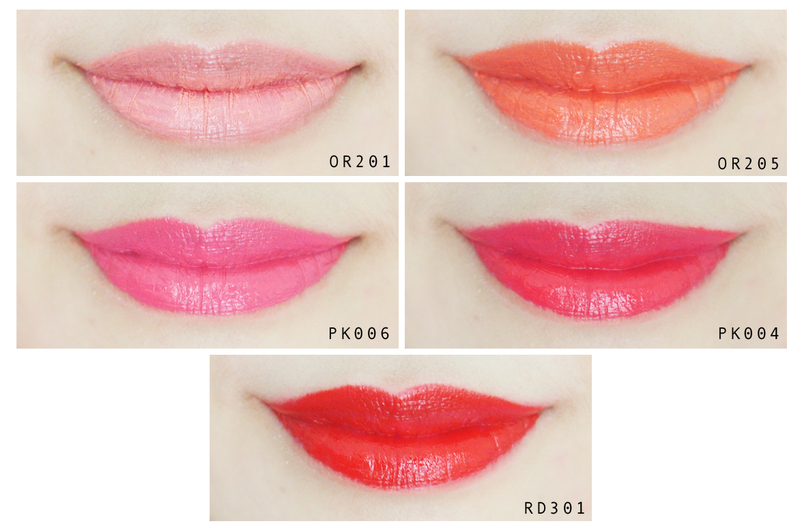 Available in 20 vivid shades, Color in Liquid Lips spans from pretty pinks, to bright reds, and vibrant orange shades, matching your Spring ensemble effortlessly! 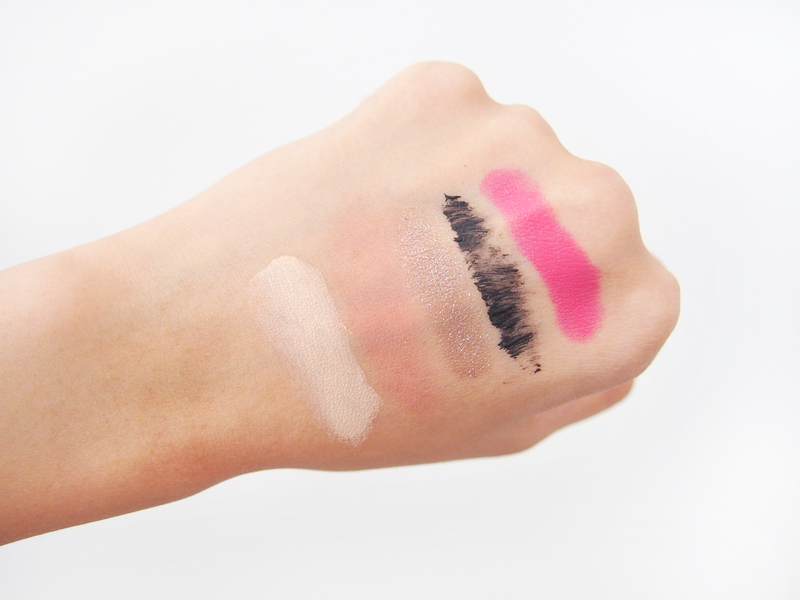 The texture of Color in Liquid Lips feels a lot like lip gloss, when it's first applied. 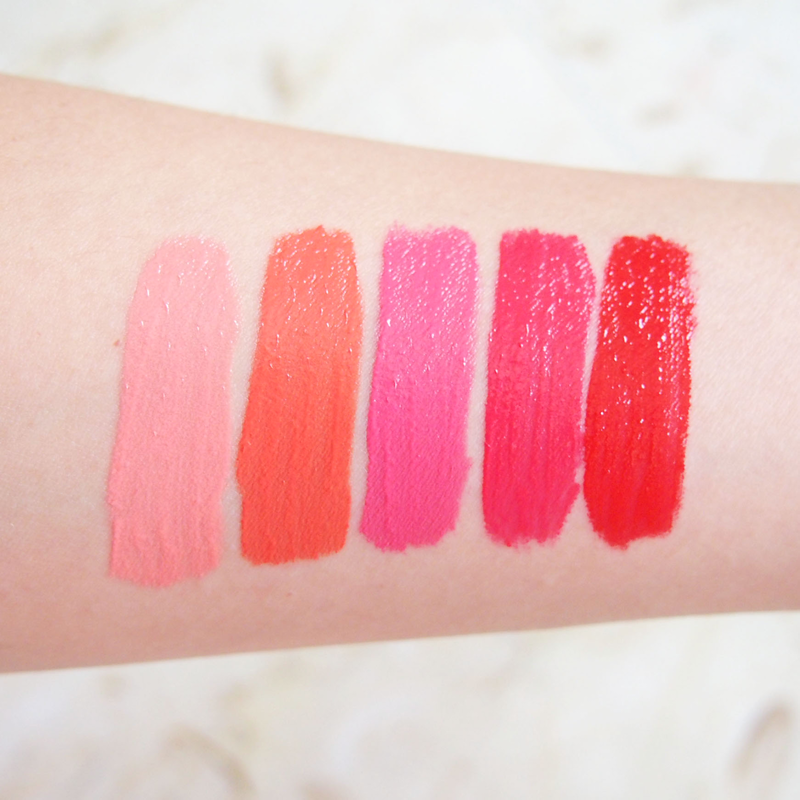 After which it'll melt into a velvety texture, giving you a plump and vibrant lip color. Sadly, this reveals dry lips and settles too much into my lip lines. A vibrant zesty orange color, but I'm not a fan of orange. 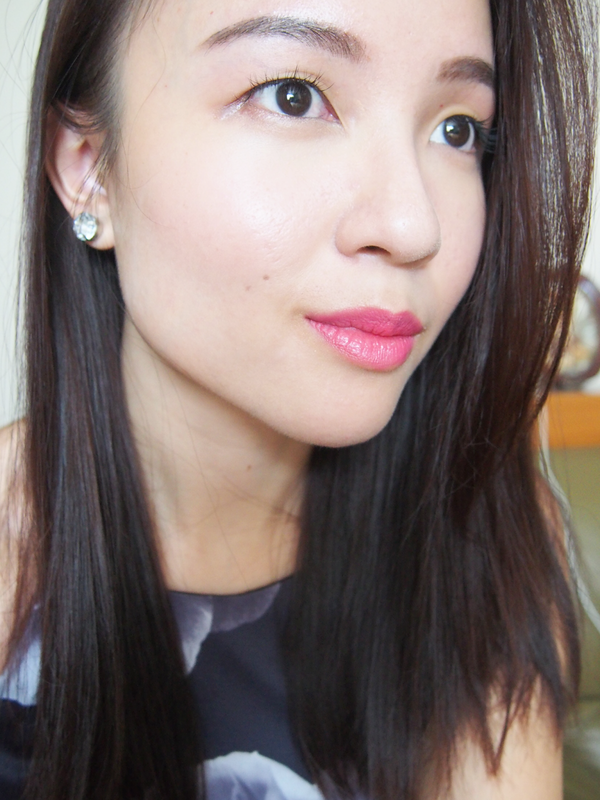 Dolly pink color, and a very wearable shade. This is one of my favourites! It looks especially good on camera. A rose-pink shade that I love as well. My skin tone suits pink shades a lot better. Blood red shade that's out to kill. This is one stunner of a red shade! My favourites of these range has got to be PK006, and PK004. Very wearable for just about any outfit! 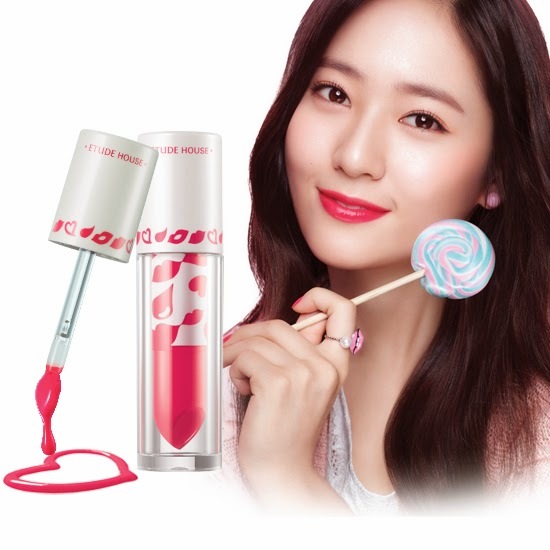 Color in Liquid Lips are now available at all Etude House stores at S$17.90! 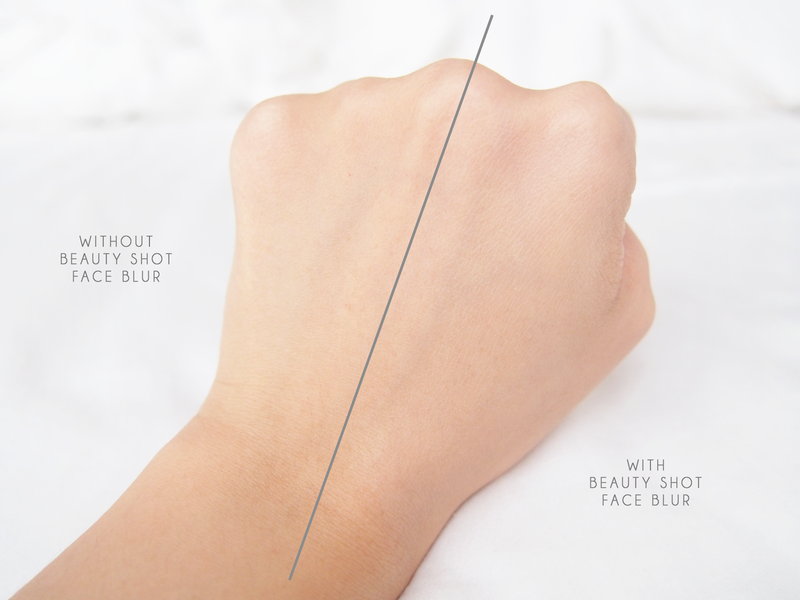 Cameras are offering a beauty mode to make our skin appear smooth & flawless. Well, no need for that now because Etude House has introduced an all new Beauty Shot Face Blur SPF15/PA+ to recreate that soft-focus effect on our face for that flawless, beautiful radiance in real life! 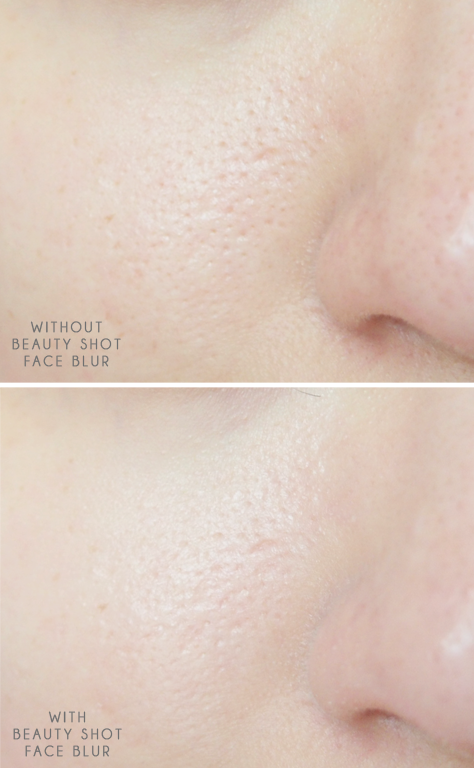 Beauty Shot Face Blur has a lightweight texture that's pretty similar to a CC cream. The formula consists of Airy Skin Powder, that allows the skin to breathe comfortably. It also helps to smoothen the skin's texture by blurring out pores. Enhanced with Sebum Control Effect, it helps to control the production of sebum, giving you a satin-matte look! The key ingredients in this little bottle of photoshop (hehe) includes Airy Skin Powder, Baby Pixel Powder which has extremely fine particles to smooth out your skin texture; Cover Powder to correct skin blemishes lightly; and lastly Plate Powder and Amati Pearl which has fine glow particles for a bright and glowy complexion. With a nozzle pump, it dispenses the product easily. Pump out a small amount and apply a thin layer in a circular motion on your face, paying special attention to your concern areas with enlarged pores. I prefer to apply an additional light layer over these prominent areas! 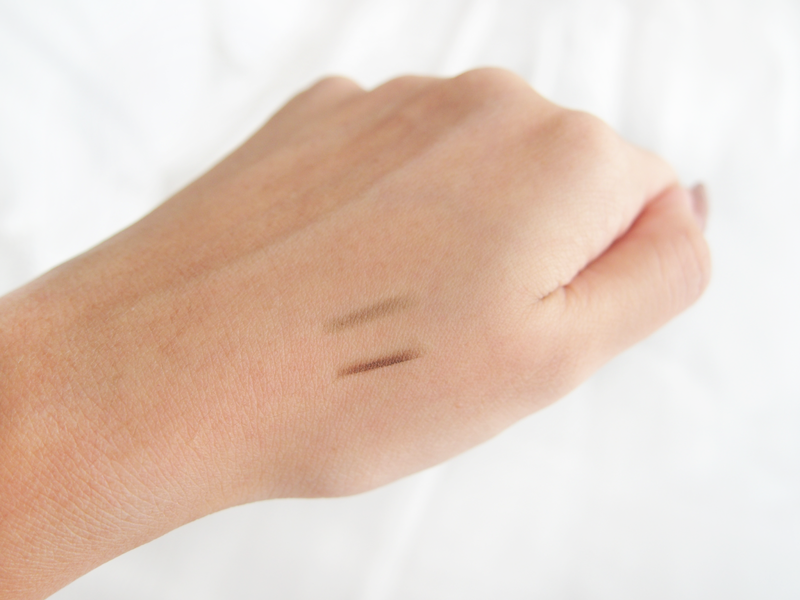 Dispensing a small amount on my hand, and applying it to half of my hand to show you how it looks like! 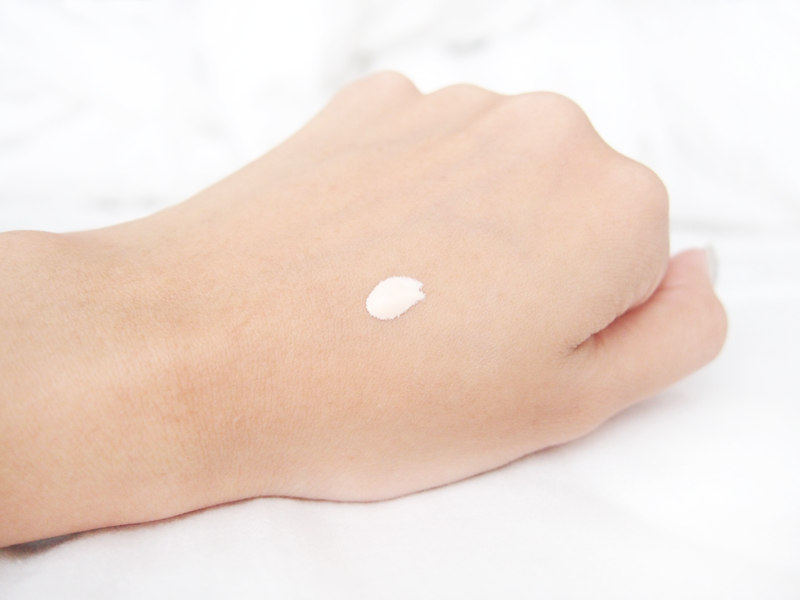 It may appear light pink on first application, but after applying it in a circular motion, the color lightens out and blends extremely well onto my skin tone. I can hardly tell it's on! Definitely more of a primer than a CC cream, with very very minimal coverage. I have enlarged pores near my nose, pretty bad, I know! So I was pretty excited to see if Beauty Shot Face Blur would help the presence of these pores. The difference is minimal, but there is visible evening out of the skin tone, and filling in of the smaller pores. 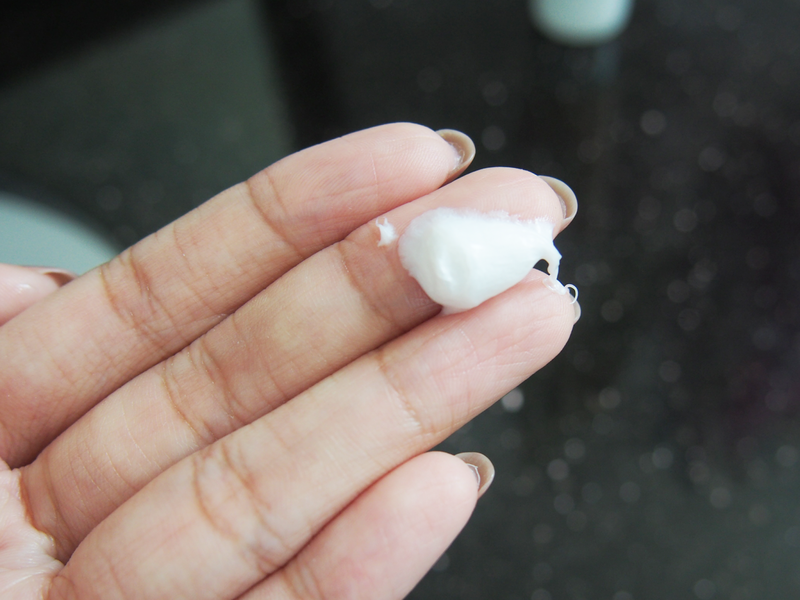 Because of the cream's light texture, it would not help to fill in the bigger pores. However, with a bit of powder (applied light-handedly with a brush), it is definitely working its magic here! I can have photoshop skin 'naturally'!!! It is a new addition in my routine and I reckon it's here to stay. I know I've said it wayyy too many times, but I am a huge fan of make-up that's light & natural, hence I don't usually put on much on a regular basis for work / errands. I only have on Beauty Shot Face Blur, powder that's very lightly brushed on, concealer, blusher, eyebrows filled in with a pencil, and lipstick! Ta-da, a look that's fuss free! It feels light, and goes on very smoothly on my complexion, and works tremendously well for a primer, setting my make-up perfectly. However it is not to be confused with a miracle worker for enlarged pores! 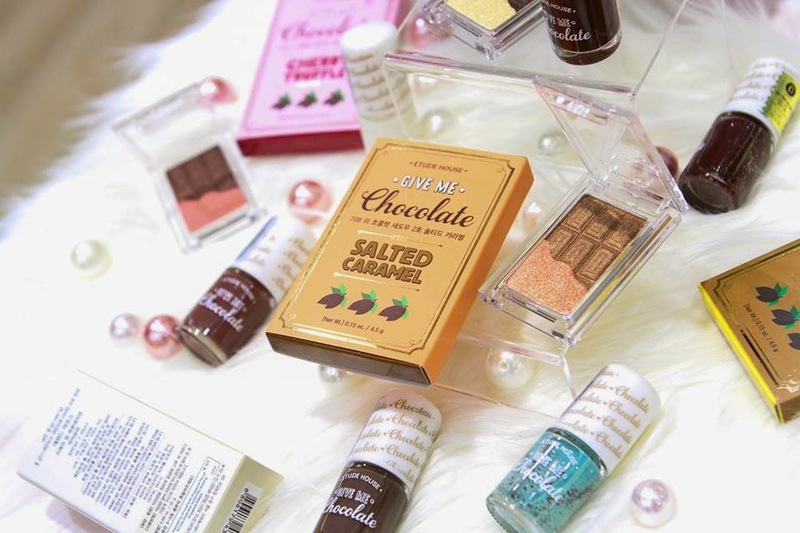 Only $27.90 and available at all Etude House Singapore stores! For that special Date Night Out! It's been a whirlwind prepping for the festivities, and afterwards, celebrating the festivities. I've had a fantastic break and am back to work recharged, and taking things a little slower now. I'm always thankful to be able to have such downtime to rest and catch up a bit on life. 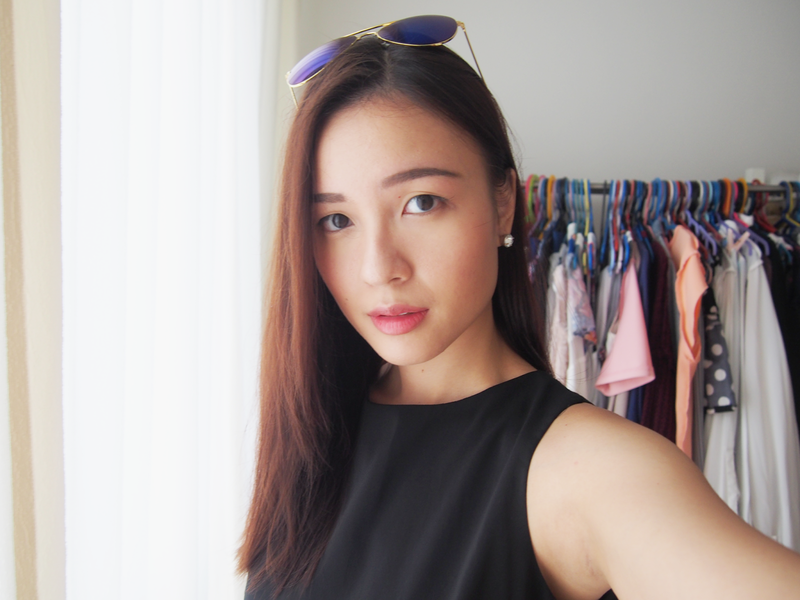 Not letting up on the make-up, here's a very simple look that even the busy you can achieve for those special dates! 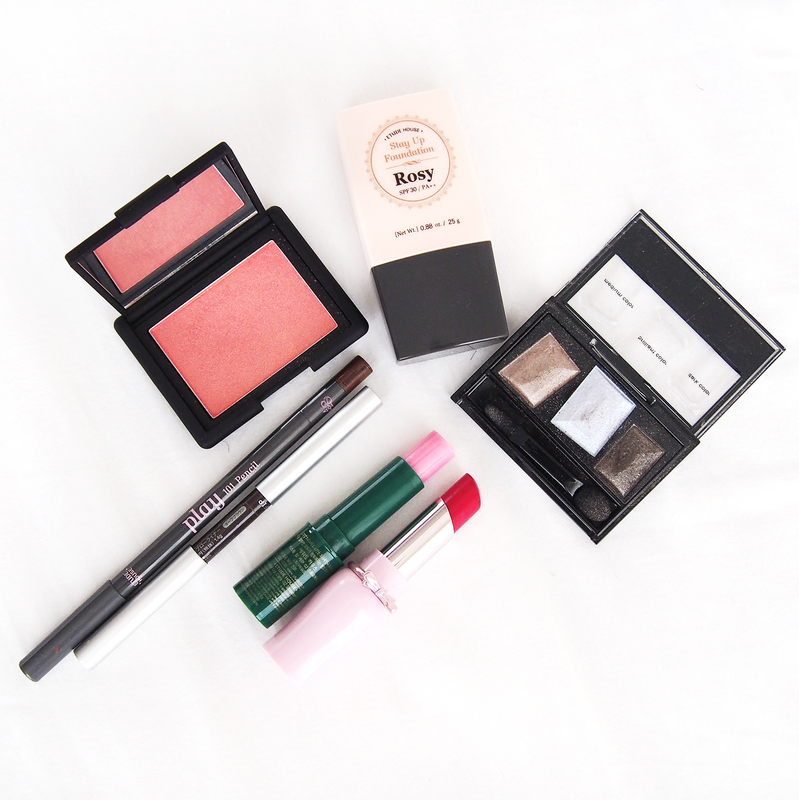 Here are my holy grail products that I've used in this look. If you've noticed, I've now switched to using shade Rosy for Stay Up Foundation, as compared to my previous post where I've used Beige. 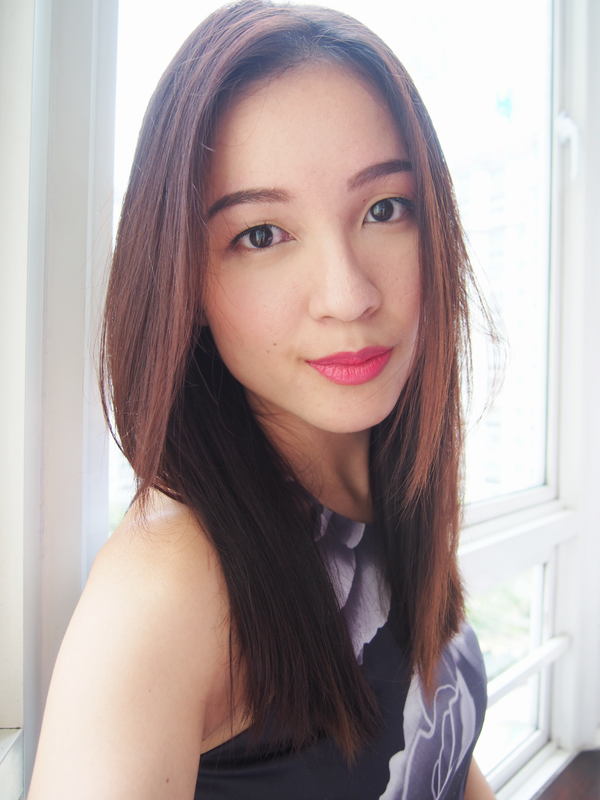 I do quite like the pink-ish rosy tint that this shade offers, and it does blend quite well into my skin without making it look too fair! With my eyebrows filled in, and foundation done up, with a light brush of blusher. Filling in the eyes with Silver -> Gold-Beige -> Dark Brown to create a gradient. Also, I usually apply eyeshadow a little higher for my eyes because of my hidden double eyelids. I recommend coloring it just a little higher than usual to line your eyes, just to show that dash of color when you open up your eyes, and not to overdo it! 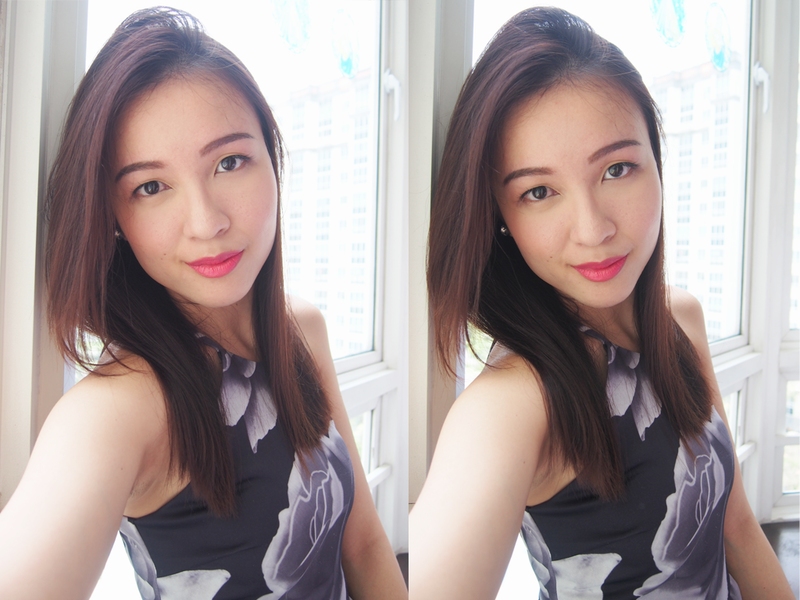 I chose a loud sultry Pink with red undertones to make a statement for my dates! 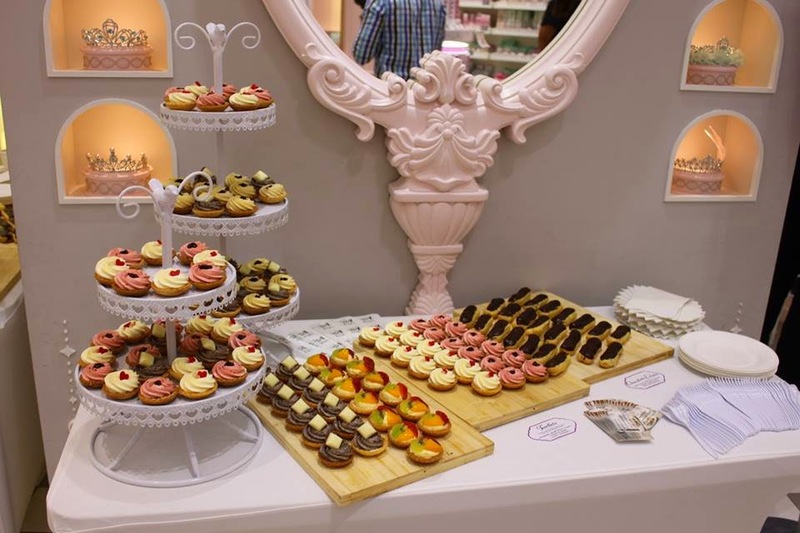 Also, Etude House has recently organised a Valentine's Day Cocktail Party at their Flagship Store @ Wisma Atria! It's a pity that I didn't have time to head down amidst the Chinese New Year craze. 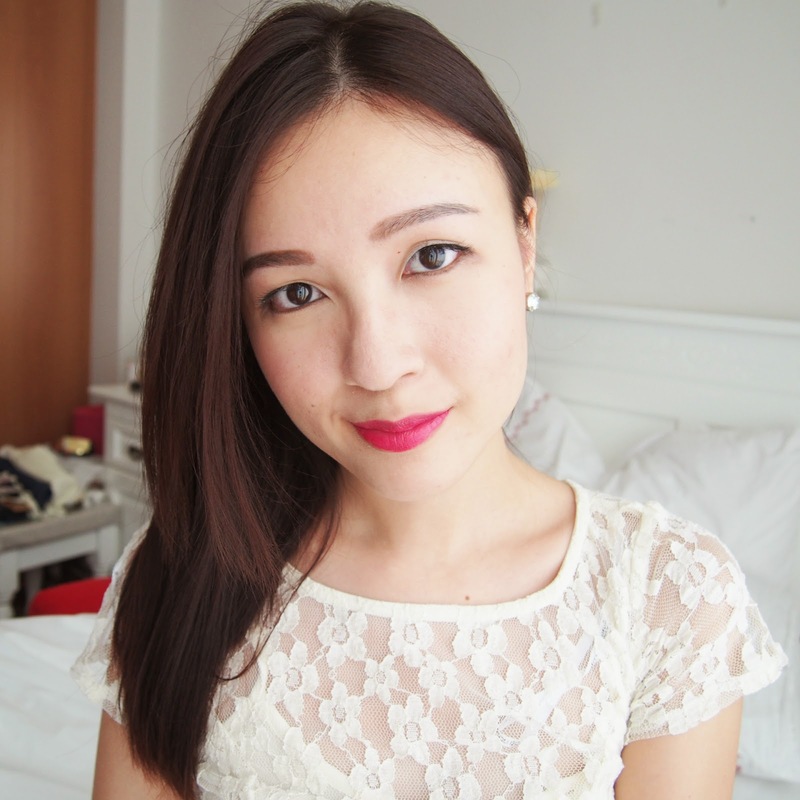 There's live make-up demostrations, and new product launches in time for Valentine's Day & Chinese New Year! :) I'll let the pictures do the talking. For more pictures on what went down, check out Etude House's Facebook album here! © Angela Maryann 2011. Powered by Blogger.